Our bespoke service allows us to design and create a gift completely unique to you and your company and our lead times are the best in the industry allowing us to take the stress out of your last minute requests. We offer gifts packaged in our beautiful signature Aspinal of London boxes or alternatively we will design and create branded packaging unique to your company and event. Our priority is to provide you with the superior service beyond compare. Whether your gift is recognising achievements of your employees or showing your appreciation to your valued clients, we will facilitate the process of finding a perfect memorable gift of unsurpassed quality. 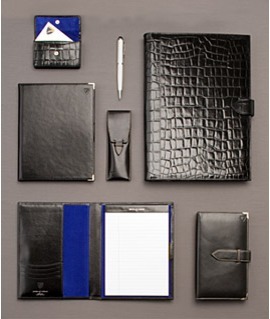 We work directly with our clients to meet all of their corporate gift requirements. Aside from the exceptional gifts our discount structure is flexible to accommodate your budgetary needs. We welcome the opportunity to discuss your gift needs and ideas so please do not hesitate to contact us directly, or you can complete the form on the right and we will endeavour to call you back as soon as possible.